Lubbock and Texas Tech University officials have announced that Paul McCartney will perform in the West Texas city June 14. Lubbock Mayor Glen Robertson said at a news conference Wednesday announcing the concert that McCartney reached out to ask to play in Buddy Holly's hometown. 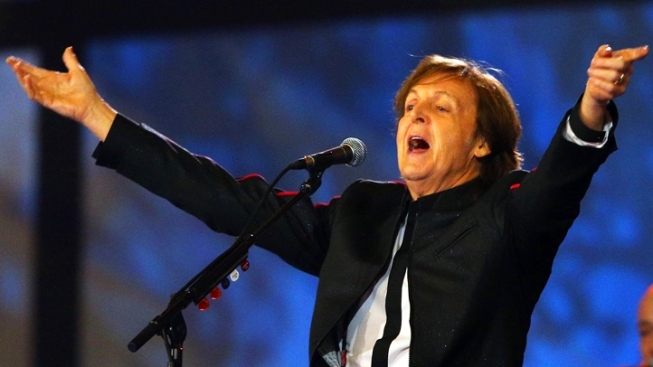 It will be McCartney's first appearance in Lubbock. He has said Holly influenced the music of The Beatles and McCartney's own solo work. The Grammy-winning singer-songwriter's concert will be held at United Spirit Arena on the university's campus. A news release from the university says the Lubbock show will open the U.S. leg of McCartney's "Out There" world tour. He'll play the American Airlines Center in Dallas two nights later. Officials say Lubbock and the university worked together to bring the show to the city.